Imprint Size:� Front & Back 6" x 9"
Board Colors:� White, Bio-Recycled Off-White. Final pricing will be determined after quantity and each option has been chosen. Please contact us if you have any questions regarding this product or statement. 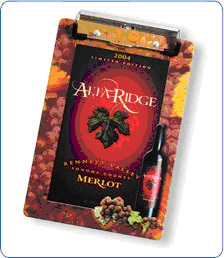 Minimum order is 50 units for imprinted boards with a $50.00 less than minimum charge.